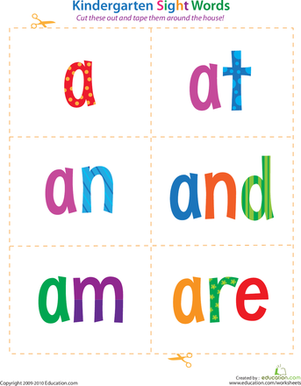 Students will be able to read and write common high frequency words that start with the letter A. 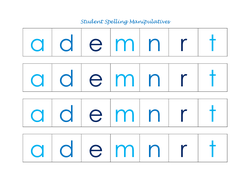 Students will be able to manipulate letters to correctly spell high frequency words. Have your students go on a treasure hunt to find the sight words of the day! 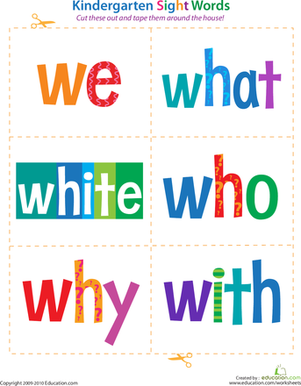 After cutting out the sight word flash cards and placing each word in a mystery bag around the room, have your students walk around the room with a partner and find the hidden sight words. 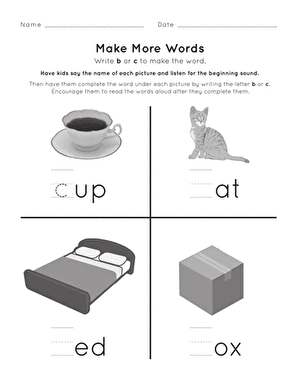 After your students have found all of the words, tell them that they will be working on spelling and saying A sight words! 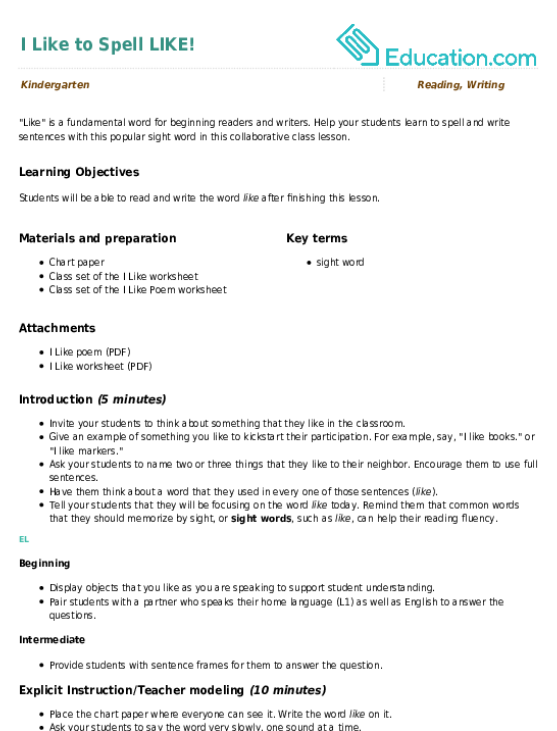 Display the treasure hunt sight word cards on the board for students to reference. Using the SMART Board file, ask your students what word they think is under the boxes. 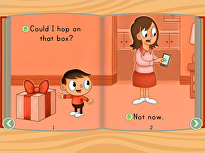 After tapping all of the boxes in a word, say the word and model the use of that word in a sentence. 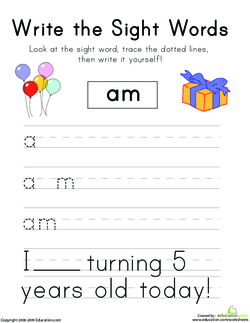 If you do not have access to a SMART Board, write each sight word on an individual card. Cover the card with another piece of paper, and gradually uncover the letters as you show the students how to spell the word. Tell your students that you would like for them to use their own mixed up letter cards to spell and say the words that you call out. 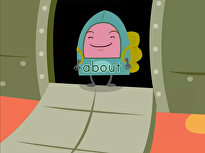 Call out the following A sight words: a, at, am, and, are. 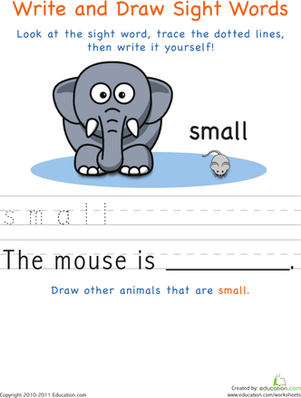 Have your students use their word cards to spell the words on the desk where they are sitting. 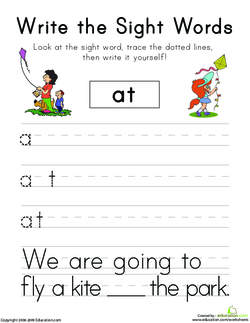 After each word, have your students “write” the word in the air with their fingers. After each word, invite your students to give examples of a sentence that could be made with that word. 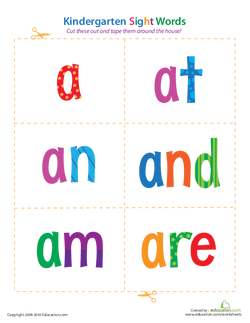 Ask your students to complete corresponding worksheets with the following sight words: at, am, and, are. The quantity may need to be adjusted, as four worksheets is likely too many for kindergartners to complete in one sitting. Start with the worksheet that is the primary word of focus. 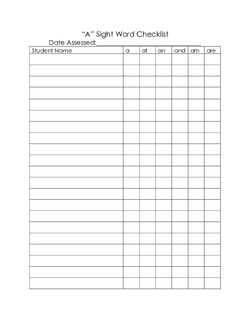 Have your students complete a second worksheet as time permits. 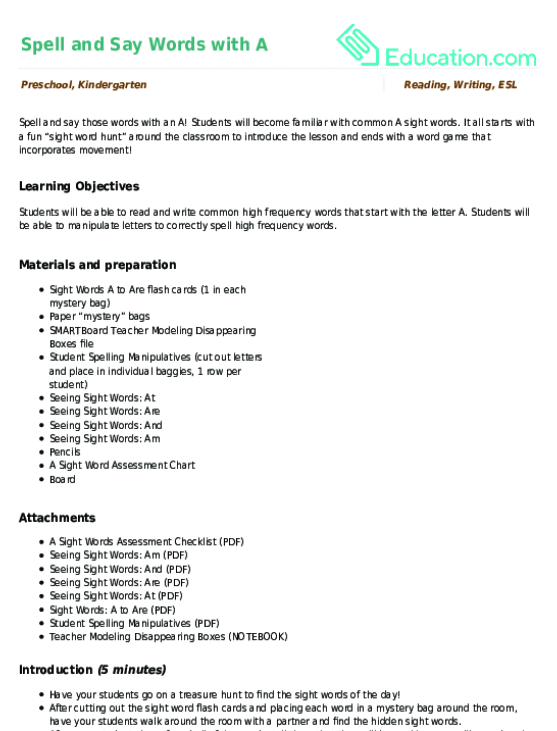 Enrichment:Challenge your students to a more advanced level of sight words with new words included. 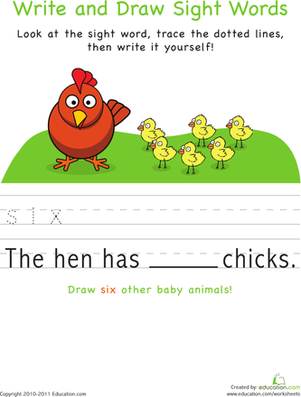 Have your students play Sight Words Match. 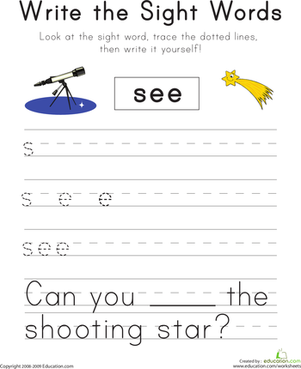 Support:Provide worksheets with additional dotted words or letters. 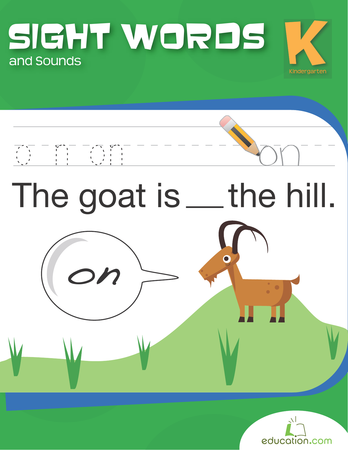 Using the sight word flash cards from the introduction of the lesson, ask your students to tell you the word shown and to use the word in a sentence. 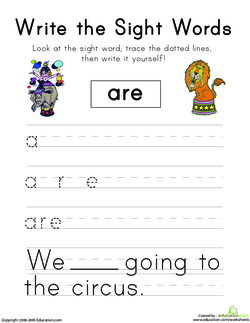 Continue with all four A sight words, using the assessment checklist to record whether the students were able to recognise the sight words. 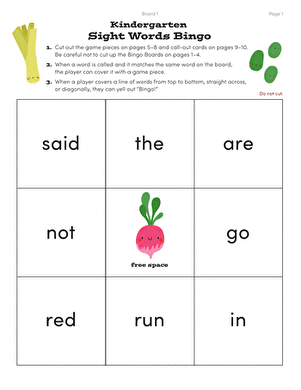 Play Sight Word Hop using the flashcards from the beginning of the lesson. Invite all of the students to stand and to hop once when you flash a sight word card that they know. Use a signal for all of the students to say the word together. 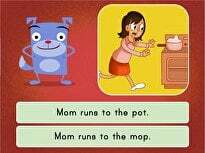 Using the assessment, identify which word needs the most reinforcement. Play one of the songs included in the media section. 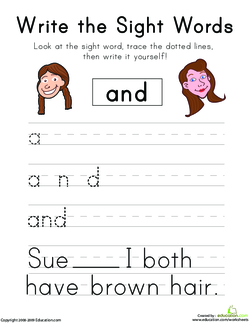 Use this worksheet to help your students practise reading and writing a complete sentence, while also practising their sight words!